A dramatic thunderstorm passed over Derby on the 11th September 2006 and both Chris Newsome and Dave Selfe had a go at capturing some pictures of the lightning. 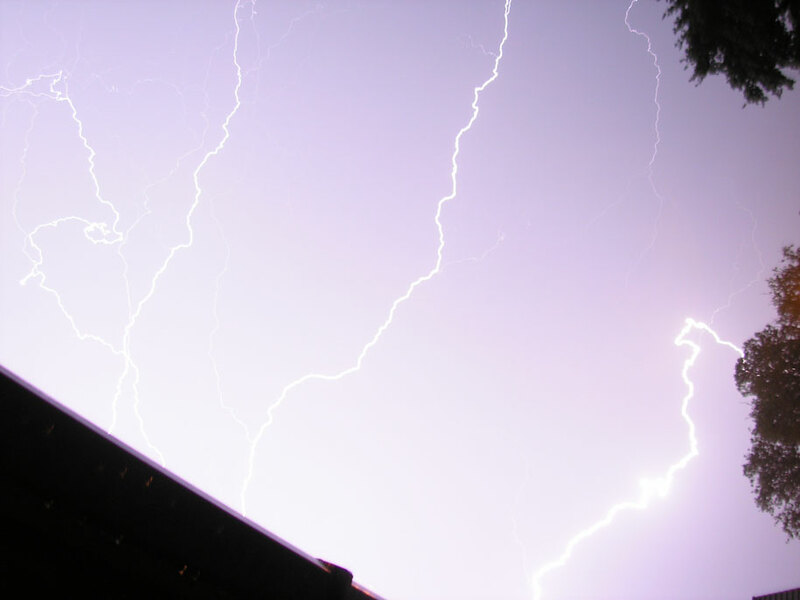 The first of these amazing pictures was captured by Chris Newsome at around 19:50 BST. He used a Canon EOS300D camera with an 18mm lens at f/5.6 and a 0.6 second exposure. It is the only frame of 43 that had a bolt of lightning on it! Chris comments: "....for the first time ever, I decided to have a go at photographing a wonder of the earth's atmosphere, namely lightning - and I think I got a bit of beginners luck!". 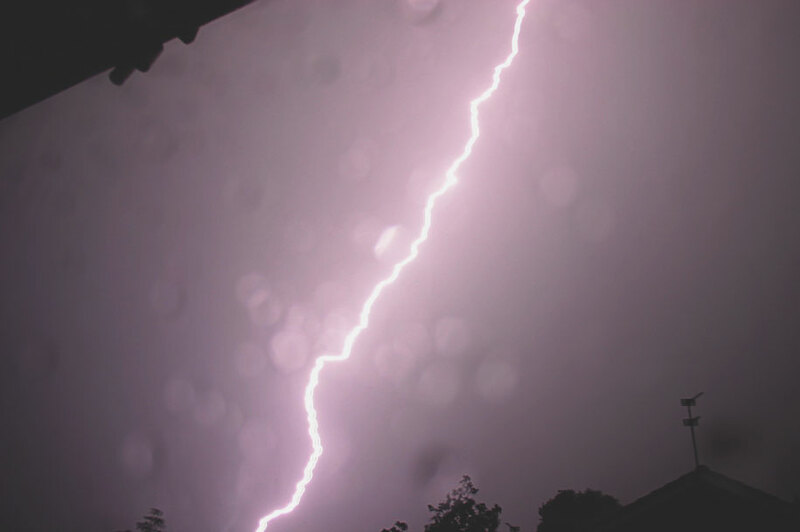 Dave Selfe's picture captures a multi-bolt discharge and was taken with an Olympus C500 camera on a 2 second exposure whilst half hanging out of a spare bedroom window!